Foodborne illness of microbial origin continues to be a serious food safety problem worldwide. The Centers for Disease Control (CDC) has estimated1 that foodborne pathogens cause approximately 76 million illnesses and 5,000 deaths each year in the United States alone. At the present time, the leading causes of death due to foodborne bacterial pathogens are Listeria and Salmonella, followed closely by other foodborne pathogens such as Escherichia coli (E. coli O157:H7, in particular) and Campylobacter jejunii. Bacteriophages may provide a natural, non-toxic, safe, and effective means for significantly reducing or eliminating contamination of foods with specific pathogenic bacteria, thereby eliminating the risk, or significantly reducing the magnitude and severity, of foodborne illness caused by the consumption of foods contaminated with those bacteria. Intralytix has developed and is continuing to develop bacteriophage-based products targeting some of the deadliest foodborne bacterial pathogens, including L. monocytogenes and E. coli O157:H7. Disease caused by L. monocytogenes (listeriosis) has one of the highest fatality rates (approximately 20%) among all foodborne bacterial diseases and, therefore, is of particular concern for human safety. Several outbreaks of foodborne listeriosis have been reported since 1980, when the bacterium was first associated with foodborne transmission. A variety of contaminated foods, including coleslaw, unpasteurized cheese, pasteurized milk, delicatessen meat, and other ready-to-eat (RTE) meat products have been reported to be sources of the etiologic agent. The high fatality rate associated with listeriosis caused the United States Food and Drug Administration (FDA) and the Food Safety Inspection Service of the United States Department of Agriculture to establish a “zero tolerance” for L. monocytogenes in RTE foods. However, eliminating L. monocytogenes from food processing plants has proved to be a very difficult task and foods contaminated with L. monocytogenes have continued to be important public health problem which have resulted in numerous food recalls. Intralytix has developed a bacteriophage-based preparation, designated ListShield™, to reduce or eliminate the risk of foodborne listeriosis. The preparation consists of six naturally occurring bacteriophages isolated from the environment and exhaustively studied and carefully selected for inclusion in ListShield™ by Intralytix’s scientists. The preparation, when sprayed onto RTE foods, significantly reduces (usually by 100 to 1000-fold) contamination of those foods with L. monocytogenes. ListShield™ is an all-natural product, and media and components of animal origin are not used during its preparation. Also, it does not contain preservatives or known, potentially allergenic substances (wheat, milk, soy, etc. ), and it does not alter the general composition, taste, odor or color of foods. 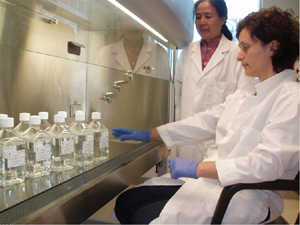 On 18 August 2006, the FDA approved ListShield™ as an additive for RTE foods (21 CFR §172.785). At the present time, Intralytix is the only company in the world to have received FDA approval for using a bacteriophage-based preparation as a food additive. Intralytix considers ListShield™ to be one of the safest and most environmentally friendly natural products for significantly reducing the risk of foodborne human listeriosis due to the consumption of contaminated RTE foods. ListShield™ is a Star K-certified kosher product and can be used on all foods without affecting their kosher designation. E. coli O157:H7 is a significant contributor to foodborne illnesses worldwide. It has been estimated to cause approximately 62,000 cases of foodborne disease/year (and ca. 1,800 foodborne illness-related hospitalizations/year) in the United States alone, at an annual cost of ca. 0.7 billion dollars. Intralytix has developed a new phage-based product, designated EcoShield™, which is effective against E. coli O157:H7. Similar to ListShield™, EcoShield™ is 100% natural, and it does not contain preservatives or any known, potentially allergenic substances. The product is highly effective in reducing contamination of various foods (e.g., ground beef, fruits, vegetables, etc.) with E. coli O157:H7, thus providing a much-needed modality for significantly reducing or eliminating contamination of various food products with the bacterium. EcoShield™ is a Star K-certified kosher product and can be used on all foods without affecting their kosher designation. Intralytix has developed a bacteriophage-based preparation, designated SalmoFresh™, to reduce or eliminate the risk of foodborne salmonellosis. The active ingredients of SalmoFresh™ are naturally occurring lytic bacteriophages that selectively and specifically kill Salmonella, including strains belonging to the most common / highly pathogenic serotypes Typhimurium, Enteritidis, Heidelberg, Newport, Hadar, Kentucky, and Thompson, Georgia, Agona, Grampian, Senftenberg, Alachua, Infantis, Reading, and Schwarzengrund. SalmoFresh™ is specifically designed for treating foods that are at high risk for Salmonella contamination. Red meat and poultry in particular can be treated prior to grinding for significant reductions in Salmonella contamination. SalmoFresh™ received GRAS (Generally Recognized As Safe) recognition from the FDA in 2013 (GRAS Notice No. GRN 000435), for direct applications onto poultry, fish and shellfish, and fresh and processed fruits and vegetables. SalmoFresh™ is also included in FSIS Directive 7120.1 as safe and suitable antimicrobial for use in the production of poultry products as a processing aid. SalmoFresh™ is all natural product. It is Star K-certified kosher and IFANCA-certified halal product. It is also OMRI-listed as a suitable ingredient in the production of organic foods. ListShield™, EcoShield™, and SalmoFresh™ are trademarks of Intralytix, Inc. SalmoLyse® and Ecolicide® are registered marks of Intralytix, Inc. Copyright © 2009 - 2016 Intralytix, Inc. All rights reserved. 1. Mead, P. S., Slutsker, L., Dietz, V., McCaig, L. F., Bresee, J. S., Shapiro, C., Griffin, P. M., and Tauxe, R. V., Food-related illness and death in the United States, Emerg Infect Dis 5 (5), 607-25, 1999. 2. Buzby, J. C., Children and microbial foodborne illness, Food Review 24, 32-37, 2001. 3. CDC (2011). Estimates of Foodborne Illness in the United States. 4. Hoffmann, S., M. B. Batz, et al. (2012). "Annual cost of illness and quality-adjusted life year losses in the United States due to 14 foodborne pathogens." J Food Prot 75(7): 1292 - 1302. 5. Majowicz, S. E., J. Musto, et al. (2010). "The global burden of nontyphoidal Salmonella gastroenteritis." Clin Infect Dis 50(6): 882-889. ListShield™ and EcoShield™ are produced using state-of-the-art production technologies. 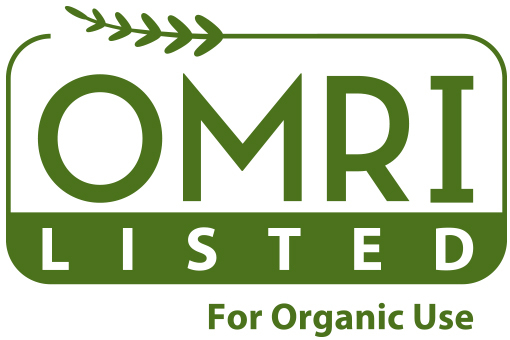 ListShield™ and SalmoFresh™ are Star K-certified kosher, IFANCA-certified halal, and OMRI listed organic products. EcoShield™ is a Star K-certified kosher, IFANCA-certified halal product.